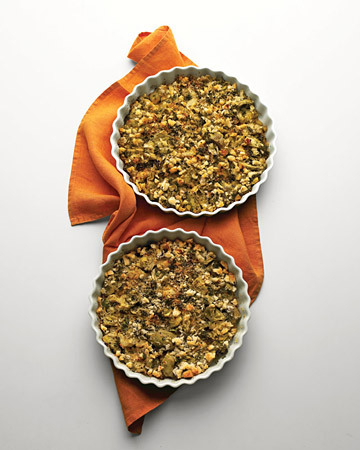 This is a delicious stuffing recipe if you love artichoke hearts like I do. It has a scrumptious mix of cheeses and herbs. My variation on the recipe is reducing the amount of cheese, and use more breadcrumbs instead!